Jubilee Energy is a 100% Australian-owned and operated business in the power generation sector. We are active in various market sectors including Mining, Telecommunication, Oil & Gas, Government, Utilities, Agriculture and Retail. 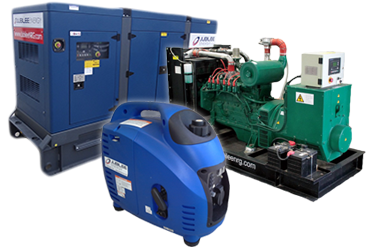 We hold a large number of generators in stock ready for immediate despatch and can also offer custom generators tailored to meet your specific needs. We not only manufacture here in Australia, but also have facilities in Europe, Asia and Africa. This enables Jubilee Energy to provide generators in the shortest of lead times. Our international supply chain and comprehensive stocking program allows us to source components from multiple locations, in a timely manner. We are an ISO 9001 accredited company and we have power generation equipment supporting critical installations worldwide. Our equipment is designed and manufactured to meet the highest standards demanded in terms of quality, reliability, performance and durability. The engines and alternators incorporated in the Jubilee power supply range are world-renowned and we pride ourselves on the fact that every component we offer is backed by guarantee. When it comes to power generation, the team at Jubilee Energy has decades of experience both locally and globally. Whatever your power supply needs, we have the expertise to provide you with the best advice and service possible for all your power supply needs. So whether it’s generator sales, maintenance, servicing, accessories and spare parts or you want to rent generator equipment, our team of professionals are here to tailor the right solution for your needs. Call us today on 1300 JUB NRG (1300 582 674).